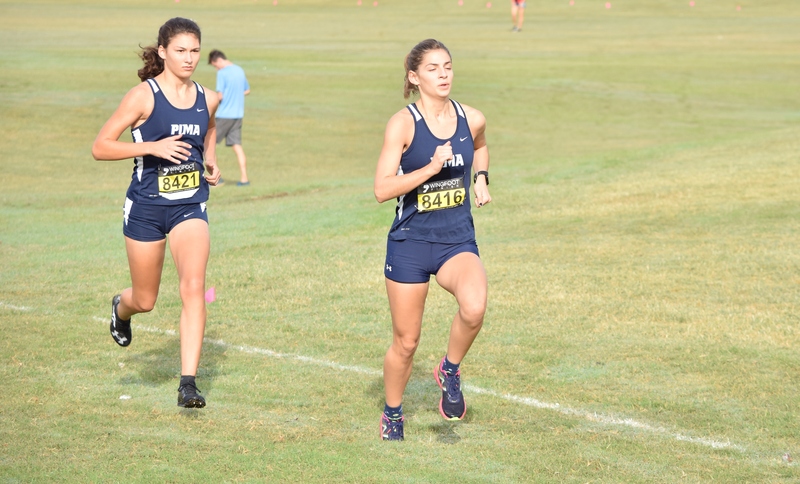 The Pima Community College Cross Country team took a trip to wrap up the season. As they competed in the NJCAA National Championships on Nov.10 in Garden City, Kansas. The Number 8th ranked Women Aztecs finished the season in the middle of the pack as they placed 16th out of 38 teams with a score of 455 points. As the meet was won Iowa community college who became your 2018 National Champions. Katherine Bruno finished what has been a great season and, as she crossed the finish line in 9th place out of 294 runners and the first Airzone runner to cross the finish line. In the 5K run with a time of 19:27.1. Bruno finished in the top ten of every race this year to wrap up a season of consistency. “It was a great way to end the season. It was awesome being able to place within the top ten. I’m ready for my break and being able to start track season,” Bruno said. The Pima men’s team send two runners to the NJCAA National Championships Freshmens Luis Tarazon and David Veloz both competed in the 8k race. Tarazon crossed the finish in 108th place out of 288 runners, and Veloz did not finish the race. The race was won by Andrew Kibet from Hutchinson College with a time of 25:25.4. Arizona Central Community College went on to win the NJCAA National Championship.